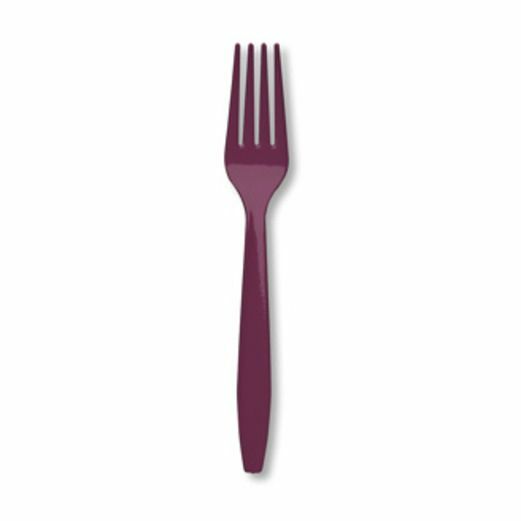 Brighten any party table with our vibrant solid color plastic Burgundy Forks. These functional party accessories are made out of durable plastic. Match the color theme of your party or event with our solid color plastic forks.